Have you ever stared at your smartphone and thought if it was a super car or a sports car, burning its fuel in exotic locations of Havana of Sahara desert. Below we present you top 10 android racing games that will convert your smartphone into a racing beast. One of the most popular games by Gameloft has been the Asphalt car racing series and the latest version of the game is available free on the Google Play store. Ashpalt 8: Airborne brings in a great racing experience where apart from the races; you need to perform high speed aerial stunts, knockdowns and drifting. The game has over 40 car models to choose from. There are also a number of tracks that one can scroll through and a career mode that has over 180 events in 8 seasons. 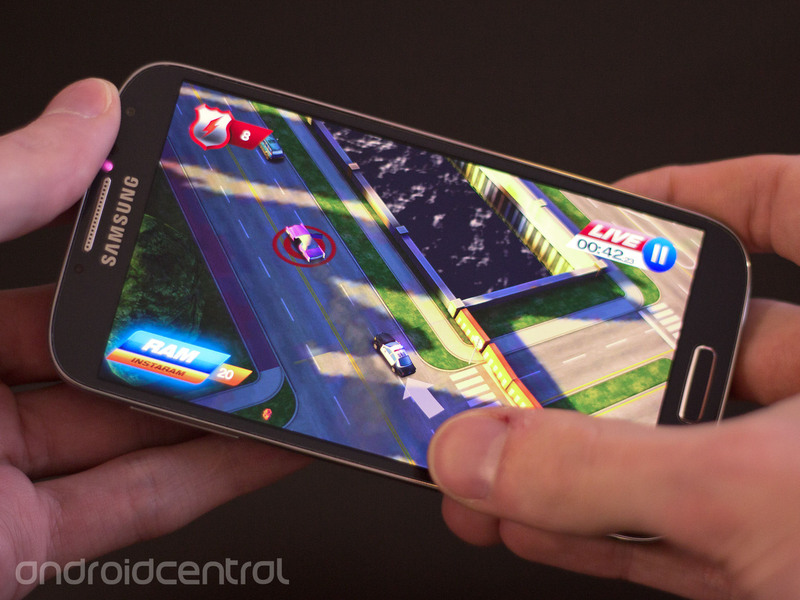 You can also play multiplayer and also have a local race with your friends on Wi-Fi. 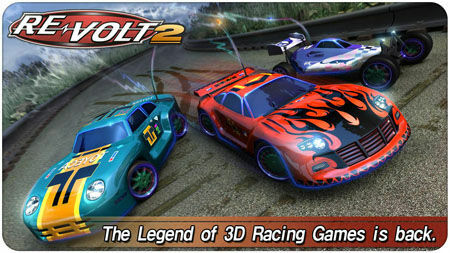 With stunning graphics and car detailing, the game is THE title to have if you love gaming on your Android device. 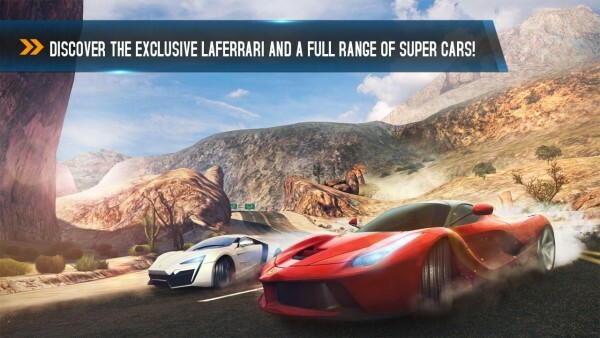 As all car racing games go, you progress and unlock new levels, races and of course new cars. It is really heavy on memory, so be sure you have enough space to store the game as well as powerful hardware for the best gameplay performance. The game has a number of licensed vehicles and it gives you a proper experience of a true racer. If you are a car and racing enthusiast, you should definitely give this game a go. CSR Racing is a clean-cut drag racing game. Players needn’t worry about steering – all you have to do is perfectly time your gear changes. Indicators tell when to make your next shift, and assuming your timing is up to snuff and your ride is amply upgraded, you should pull across the finish line before your opponent, and earn some winnings. Premium currency can be used to buy high-end cars, while the standard currency can be used to buy the others, as well as upgrade specific parts such as the gear box, engine, intake, and body. 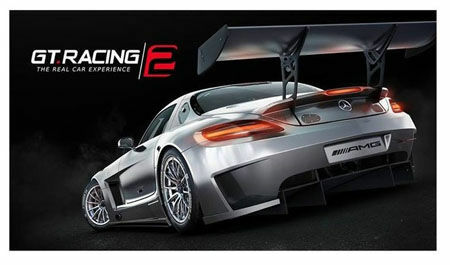 Another great looking racing game from Gameloft is GT Racing 2. The game truly tests your driving skills and you get to play over 1400 events including classic races, duels, knockouts and overtakes. You can choose exotic cars from Mercedes-Benz, Ferrari, Dodge, Nissan, Audi, Ford, and more. Just like Asphalt, the game comes with a multiplayer mode where you can compete with players from all over the world. 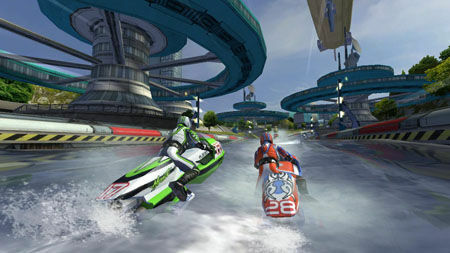 Riptide, the famous speedboat racing game, now has a sequel with Riptide GT 2. The game features a single player career mode and online four-way multiplayer mode. The best part is that you can earn points to buy and upgrade your speedboats. The game involves you to perform stunts during the race. The career mode has about 30 races and various game modes like sprint for podium positions, hot lap, elimination and freestyle events. Bird slinging madness continues with Rovio’s latest addition to the famous Angry Birds game franchise. This time there is a twist as the new game now takes you on a racing track. 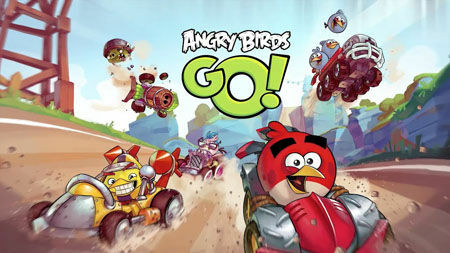 Angry Birds Go is a downhill soapbox racing style game where you can play as the birds or the piggies to win the race. Every character has a special power which you can use during the race and you also get to upgrade your car to make it faster. It’s a fun game and is definitely a good break from all the previous Angry Birds games. Always wanted to have a remote controlled car when you were a kid? Well then Re-Volt 2 takes you back to your childhood memories. This is a fun game which takes you the world of remote controlled car racing, which means that the cars that you steer are much smaller. There is a variety of car to select from including formula cars, sports cars, monster cars, and even trucks. The game has challenging race tracks and enables you to have some nice upgrades to your car which makes the racing experience even more fun. You can even play multiplayer or with your friends on a local Wi-Fi network. 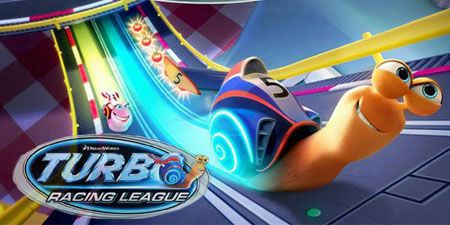 Turbo Racing League is based on Dreamworks Studio’s movie Turbo which is based on a character named Tito the snail who aspires to be racer (yes, ironic). The game involves you to create a racing snail and then swipe the snail around the track which is launched from a slingshot. The track has power boosts which make your snail gain pace and you need to gather the scattered tomatoes on the track which allows you to upgrade your snail. 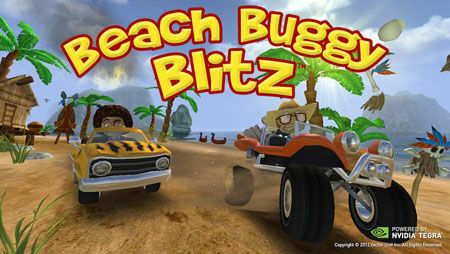 Beach Buggy Blitz takes you on a wild ride where you can smash and crash obstacles and collect coins and power-ups like fire-spitting Boost, the coin-tastic Coin Bubble, and a Shield that lets you smash through anything. There are a number of characters and cars that can be unlocked and be further upgraded. The game does remind us of Mario Kart and features some good looking and challenging tracks.